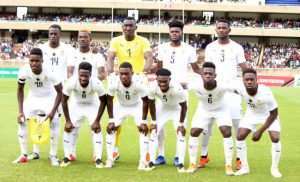 Ghana is ranked 49th in the world in the latest Coca-Cola FIFA Ranking released on Thursday. The African football powerhouse had occupied the 51st position in the March rankings, but gained9 points to rise above Norway, Bulgaria and Montenegro. Ghana after beating Kenya and Mauritania in an AFCON qualifier and a friendly respectively in March, remain 6th on the continent, behind Senegal, Tunisia, Nigeria, Morocco and DR Congo who occupy the first 5 spots in that order. Cameroon, Egypt, Burkina Faso and Mali make up the top 10 on the continent, with Ivory Coast just outside the top 10. Belgium remain the top-ranked team, followed by France, Brazil, England and Croatia who make up the top 5 in global rankings..